Nifty has cleared the hurdle of 161.8 per cent Fibonacci retracement level that indicates bullish momentum to continue till the time it sustains above 11,400 mark. The Indian indices gained on strong sentiments coming in from the upbeat US economic data that fuelled the Wall Street and Asian markets despite Brexit worries. The BSE Sensex rose 128 points to 38,514 levels while the 50-stock Nifty rose 42 points to 11,564 levels. Extending its rally post Holi Nifty Bank index rose 138 points to 29,970 levels. 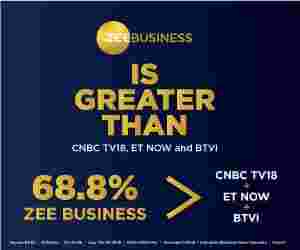 Mehul Kothari, Senior Technical Analyst - Equity at IndiaNivesh Securities told Zee Business online, "Despite some selling in the broader markets Nifty managed to sustain above 11,500 mark. Also, as discussed in our previous report that Nifty has cleared the hurdle of 161.8 per cent Fibonacci retracement level of the previous move as shown in the chart. Thus, we reiterate our view that bullish momentum might continue towards new life high till the time Nifty sustains above 11,400 mark. While doing the same; 11,600 to 11,680 might act as an intermediate resistance for the bulls." He said that the major trend is bullish but at the same time traders are advised to start booking their leveraged positions. On the downside 11,400 might act as an intermediate support for the coming sessions. A move below the same might halt the ongoing momentum for the time being. Tking cue from the Tech fuelled Wall Street rally, Indian tech stocks too led the rally at Dalal Street on Friday early morning trade. The BSE Tech index rose around 1.8 per cent from its previous close. Tech major Reliance Communications stock continue to surge and added more than 9 per cent, GTL counter shot up near 5 per cent, GTL Infrastructure stocks jump 4.2 per cent, Bharti Airtel shares added more than 3 per cent, Sterlite Technologies rose around 2.15 per cent while Vindhya Telelinks Ltd counter jump around 2.5 per cent. Among power stocks, Adani stocks had a cheering time in early morning trade. power major Adani Transmission shot up 2.3 per cent while Adani Power went northward around 1.35 per cent. Among other power stocks Tata Power Company rose 1.87 per cent, Power Grid Corporation of India counter surge 1.4 per cent, NTPC counter had a rise of 2.3 per cent while Thermax and Torrent Power jump over half a per cent. Asian shares too rallied on Friday after upbeat US economic data and optimism in the tech sector at Wall Street stocks, helping calm some of the jitters sparked by the Federal Reserve' s cautious outlook on the world's biggest economy. MSCI's broadest index of Asia-Pacific shares outside Japan rose 0.25 per cent while Japan's Nikkei gained 0.3 per cent. NEXT STORY: India's domestic air passenger traffic growth slowed further in February - What led to this?